In an effort to bring attention to an obvious problem, Newt Gingrich dared to walk the plank for the Republican Party and spoke up about immigration. "I don't see how the party that says it's the party of the family is going to adopt an immigration policy which destroys families that have been here a quarter century. And I'm prepared to take the heat for saying, let's be humane in enforcing the law without giving them citizenship but by finding a way to create legality so that they are not separated from their families." When he attempted to reach out to those voters who question the purpose of the Republican Party, quickly the Media stepped in to attempt to quash his lead. His comments are not disturbing to me. What does disturb me is that those Latino Leaders who state that they are conservative in thought, regardless of party, have not stepped up to defend the statement. In fact, no one dared to touch the comment by Governor Perry regarding in state tuition. It is taboo. The fact that Latinos should not be mentioned in the Primaries is preposterous. 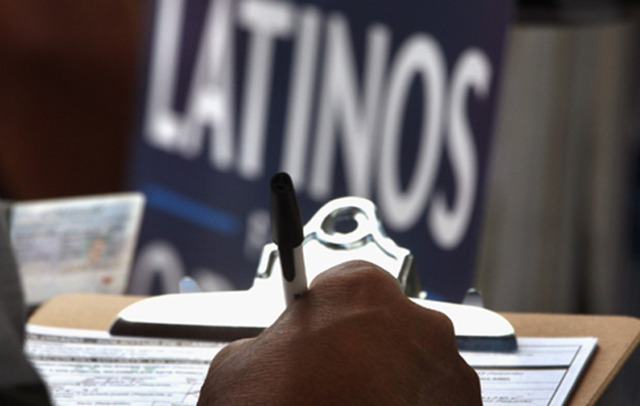 Latinos are essential to the vote in the Primaries and the General Election. Those who are speaking out are children of past Republican Presidents. One in particular, Michael Reagan, son of President Reagan states that his father would have backed Newt Gingrich on his comments about immigration and families. Other comments have come from Mayor Bloomberg who will not interject his state police into the inquiry of immigration status if people do not pose a great danger to this country and are not dangerous to the community. But as far as Latino Republicans, none can be found. Newt Gingrich and Rick Perry may as well be in the middle of the ocean without any rescue in sight. Where are those Latinos, especially from Texas, who want a strong leader to speak about the Latino Issues and who claim to be for Latino Conservative issues that include the love of family? Where are my friends who shake my hand and tell me that I am doing a great job in sending the message to the Latino Community about conservative values and how they need my help for their campaigns? Where are my conservative friends who ask for my financial donations to help their campaigns and their causes to help the Latino community because they care about the youth and Latino families? These Latino Leaders who favor the community and our votes should be out in the community and the media defending the message of the likes of Perry and Gingrich. Perhaps they fear the backlash that the media will leash upon them. The media that acts much like Iago, the lying character in that Shakesperean tragedy Othello, who whispers lies to Othello so as to distract him from reality. The media that claims to know the exact time a candidate’s campaign will end should they talk about immigration and Latinos. Those talking heads who contend that Obama will get re-elected because Latinos are Democrats and will vote this way despite what the Republican Party does or says. They are wrong, clearly. Yet no one speaks up to this. Latinos will not vote for that candidate who insists on keeping them in the background, but rather Latinos are a voice in this country wanting to be heard. I was asked by GOP Leaders recently, “Ok we get it, what is it that they want,” (they being Latinos). We want to be looked at as important constituents. We want what other Americans want in this country, to be considered when there is a discussion on jobs, family, and education. We want the rhetoric to be centered on these American Values when speaking to us, about us. Latinos are compassionate people. We will come to the aid of those less fortunate, those in need of food, protection, and those being bullied with distasteful rhetoric: legal or not. The reason is simple, it is the humane thing to do. We can no more look the other way when being attacked by those with hate in as much as Jews cannot support anti-Israeli comments. It does not make Jewish Americans less patriotic, it makes us more patriotic. The concept of being American is not about being hateful and segregating groups out of our society, it is about including and protecting OUR members. For years we have contended that we are millions in number a “sleeping giant,” so now is our opportunity to make our stand and voice our conservative values. Latinos can be a powerful voice if they become the primary voters. Only about 30% of voters turnout in the primaries, and they are mainly party activists. Latinos will be about 12% share of the total pool of voters nationally. If they mobilize for the primaries and speak up in defense of those who are now speaking in defense of Hispanic “families,” their political muscle will be felt for the first time. This mobilization of Hispanic voters can be effective in states where Latinos are already a large voting bloc, like Texas and California, where Latinos are about 25% share of the registered voters, or as much as 43% in New Mexico. But in order for this mobilization to have a real impact, those Hispanics Republicans operating within the GOP globe need to step up and “take the heat” and begin defending candidates who are speaking up in defense of our families--community. The Republican Party is the Party that allows for economic opportunity. Those who hold the rhetoric on race only without opportunity for advancement is a party that will not allow for advancement in this country. Race is not the only issue that will win elections. Yet, any negative connotations on race in order to gain momentum in a race will cause that party a fall from grace with Latinos that will prove to be irreparable for years to come. In a recent article in the Asian Journal, American Immigrants will integrate into the U.S. population by 2030. This will make immigration reform obsolete. Those who survive the “heat” will survive as candidates along with the political party who stands up as a voice of reason. As Newt Gingrich, Governor Rick Perry, Senator Marco Rubio, Jacob Monty, Dr. Steve Hotze, Lt. Governor Abel Maldonado, and Governor Brian Sandoval, stand alone in speaking up for the Latinos and their inclusion into the Republican Party they understand what is at stake: common good and the survival of the Republican Party. These individuals will not leave the party to start a new one, nor will they renounce their allegiance or cowardly stand to the sidelines as Independents because they are Confident Republicans. They are Heroes. They are willing to take the heat in their defense of Latinos. I am willing to stand alongside them in the Republican Party and defend the right to speak up with confidence despite the name calling and hateful rhetoric. It is my duty to my country and I find great peace of heart in doing so. 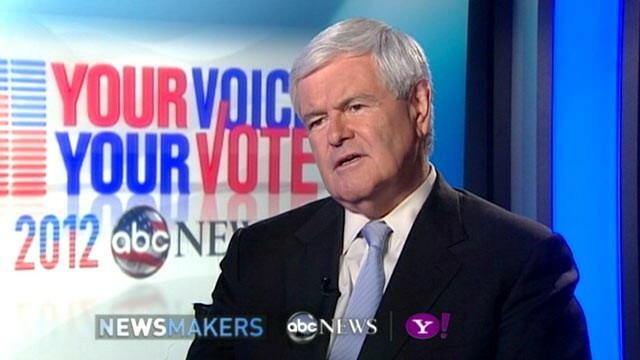 Newt Gingrich Provokes Routine Immigration Clamor - A Fuller Discussion? THE TEA PARTY IS NOT FOR ANY AMNESTY. Because the concern of illegal immigration is just simmering under the surface, doesn't mean this occupation of our sovereign nation is going away. The financial sink hole has opened once again through former speaker Newt Gingrich revelation that people who have settled in America and stayed out of trouble for 25 years, should be allowed to remain here; even with the clause that they can never receive a path to citizenship. They might have entered initially through an airport terminal as an estimated 42 % percent of overstays have done, or the other proportion who just slipped in the night across the border. Carefully conceived by numerous administrations, was to make illegal entry just a minor crime; like jay walking and not even substantiated as a criminal offense. Very well maneuvered plan and so carefully manipulated by the politicians just to make it look like the government are obeying the people, the enforcement laws. But the truth as millions of Americans see it, that it was a bluff, a lie; just plain hypocritical words meaning nothing and that the 'Rule of our Law' on illegal immigration enforcement was never meant to work? That why this country has an estimated 20 million foreign nationals here, which of a large preponderance lives of taxpayers. Even if Gingrich did become President, how is he going to process those who are supposedly here for a quarter of a century? Then there is the problem of those who stole Social Security numbers of citizens or legal resident’s children and the dead. Surely this should judge as a FELONY? Or is Newt Gingrich going to take the wrongful path of President Obama's presidential predilection is to permit certain foreign nationals to stay; this isn’t going down well with the hard working Border Patrol or taxpayers. Gingrich will have major problems in his electoral race on the fact, that these illegal migrants violated the law not once, but in a substantial number of cases, twice over. This is certainly happened after the 1986 Immigration Control and Reform Act. It was Massive fraud on a grand scale in that Amnesty bill. The processing procedure was so overwhelming; the administration neither completed the investigations and background checks rushing illegal the path to citizen through. But the real fraud was in the initial paperwork, as millions of phony documentation, which showed that they had lived in the United States for five years. The cost for the processing of all these millions of people was estimated to be $700 million dollars. Today--as according to the Heritage Foundation, who has completed a thorough analysis of the cost, would be $2.6 trillion dollars. Fraudulent applications contaminated the process, many employers’ continuous illicit hiring practices, and illegal immigration gained thrust. 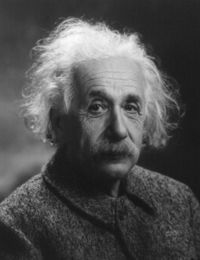 The Center for Immigration Studies estimated the illegal immigrant population at 10 million as of November 2004, but the U.S. Census Bureau estimated 8.7 million illegal immigrants were here in 2000, and immigration officials estimate that the illegal immigrant population grows by as many as 500,000 every year. Another Amnesty would be devastating to this country, as the millions of family members could be sponsored and placed on the conveyor belt, adding even more unfettered poverty. Eventually our social safety net would collapse, because of the untold millions would then gain legal access to every conceivable entitlement program. The total fiscal deficit on all direct and indirect costs is for the decade not including the costs of the blanket amnesty itself, was $78.7 billion. The TEA PARTY will never be approving of another Amnesty, no matter what the policymakers say and do? The government cannot be trusted, as they have proven their dishonest deception time and time again. The costs in entitlement programs to illegal aliens and their children such as retirement, pensions, food stamps, Aid to Families with Dependent Children (AFDC,) Medicaid, housing and every other free extra will be visited on miserable taxpayers are far beyond what taxpayers should be forced to pay by the courts in unfunded mandates. The TEA PARTY is not just about stopping illegal immigration Amnesty, but halting the further encroachment of the distended government on citizen’s lives. It is a guardian of our Constitution from Liberal Extremists, trashing and drafting a new tax code that is fair to everybody, with no exemptions to any company or any other entity. No more privileged tax havens in the Cayman Islands, those politicians have ignored for the wealthy patronage. Start drilling for our own oil for US consumers and for us export other countries. America has the largest regions in the world of oil and could reduce the 15 trillion dollar deficit. We must return federal Department to individual states, such as Education; each agency is stagnated from the bureaucrats that run them and like education has fallen in performance behind China, India and many European nations? Cut thousands of mostly groundless regulations, thus industry can be rejuvenated and create jobs. We need real free trading markets, seeing that according to Donald Trump; not the tricks played on us by China and other countries perpetrated on as of us today. It’s a real shame that Trump, the businessman didn’t follow through with his bid for the presidency. The American people cannot be apathetic anymore, so it is time to enforce our immigration laws. The E-Verify program that has gained notoriety, but not in the Liberal press, the special interest lobbyists or open border so called anomaly. The time has come to build the real fence from Texas to California covering the whole 2500 miles with double-layer fencing. It is also the time to contact the Ways and Means Committee responsible for bringing ‘The Legal Workforce Act’, bill number H.R.2885 to the House floor in Congress. Only the American voter or legal resident has a say in this urgent matter, which will produce large numbers of jobs displaced by the 8.2 illegal workers as estimated. The number to call for the Washington political phones is 202-224-3121. These people need to listen to the People, instead of deceiving us anymore. If you have further questions, go to the NumbersUSA via Google and study the facts of years of the fabrication and idiom we absorb through the Leftist associated newspapers or the politicians, who evidently are working for us? Remember none citizens have been voting and are sure to vote in State and federal elections. Citizens must be watchful or this dire violation.